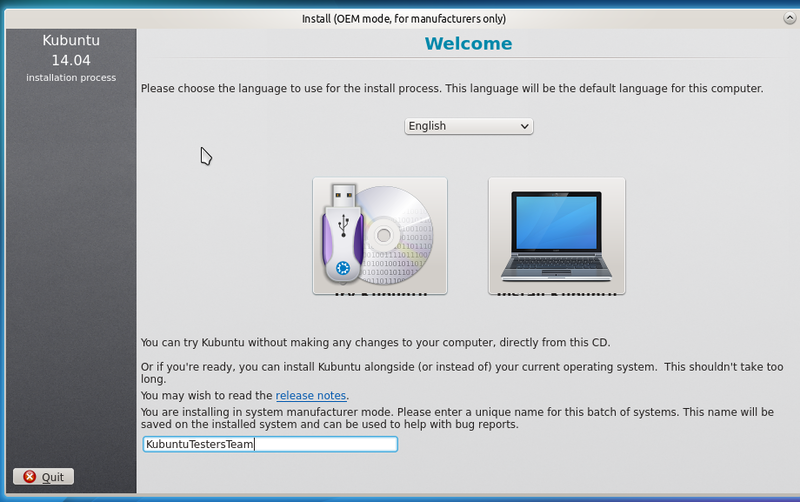 When using the OEM installer of Kubuntu Trusty Beta1 the buttons that should say: "Try Kubuntu" and "Install Kubuntu" are sized in such a way that the text becomes unreadable. See the attachment for a screenshot. Should be fixed for a couple of weeks now, was verified March 18.